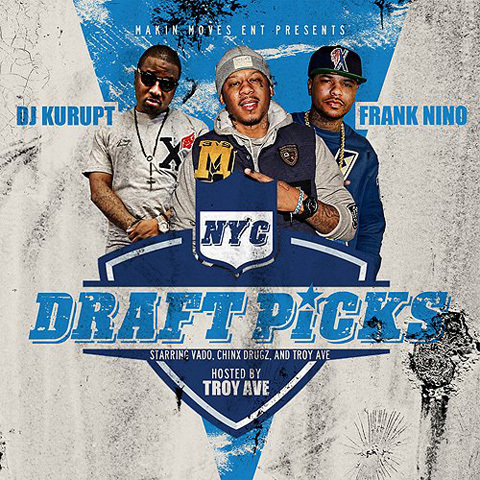 Frank Nino and DJ Kurupt drop this mixtape which features mainly music from Vado, Chinx Drugz, and Troy Ave. These 3 are just a few of the hottest emcees out right now. Vado. who once was Cam’Ron’s protege, is currently signed with DJ Khaled’s label. Chinx Drugz is signed to French Montana’s Coke Boyz label. Troy Ave releases his music with B$B Records. These are some of the new mixtapes just added to the website. 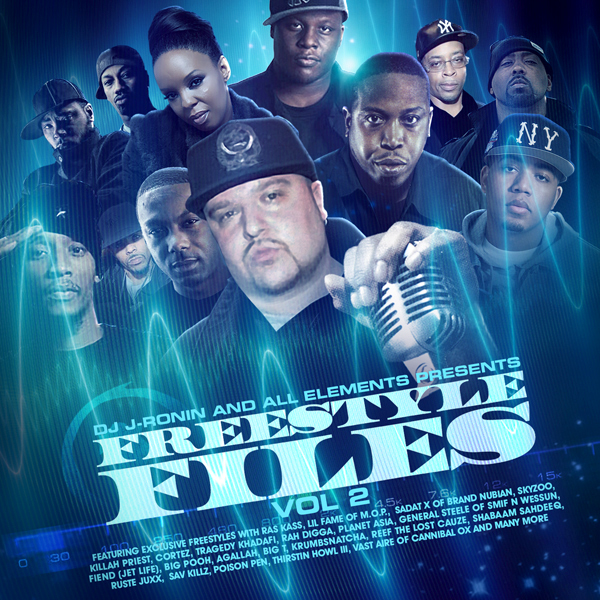 DJ J-Ronin drops volume 2 of his ‘Freestyle Files’ mixtape series. This mixtape contains 50 tracks from some of the top emcees out there. The freestyles on this mixtape are nothing but raw, classic hip hop. 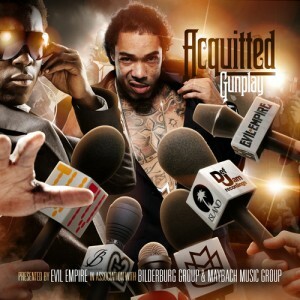 Any true hip hop fan will be pleased with this release. Big Mike is back with new 3 drops just in time to begin your summer. These releases contain the latest hip hop and r&b hits being played right now. 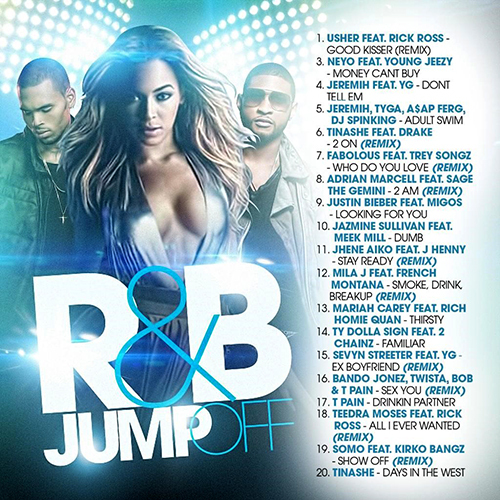 The first in the series is the July 2K14 Edition of the ‘R&B Jumpoff’ mixtape series. 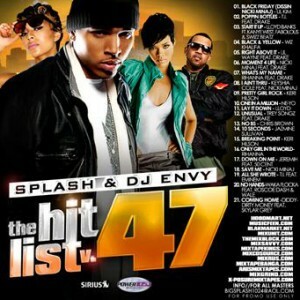 This mixtape gives you the latest music from popular recording artists Jazmine Sullivan, Mila J, Tinashe, Jeremih, Teedra Moses, Sevyn Streeter, and much more. Big Mike has some of the best mixtapes out, so be sure to give this one a listen, as fans of r&b music will definitely enjoy this release. The next release contains pop hits from your favorite music stars. 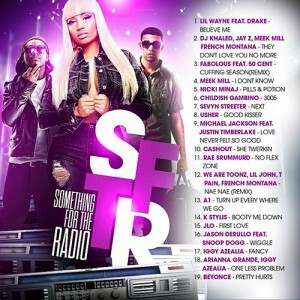 This is the July 2K14 Edition of the ‘Something For The Radio’ mixtape library. On this mixtape, you will find musical features from Childish Gambino, Meek Mill, Fabolous, 50 Cent, We Are Toonz, Lil Jon, T-Pain, and the list goes on! People of all ages will surely love this mixtape. 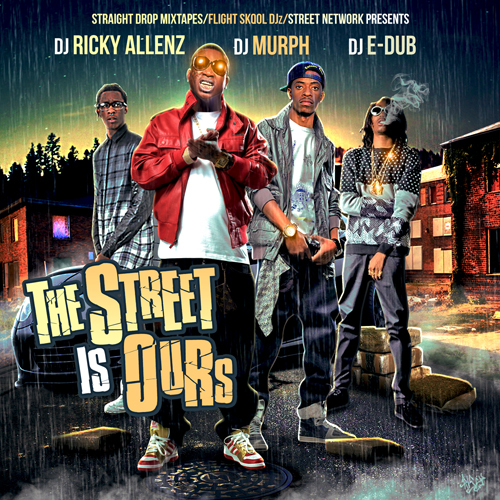 Finally, to begin your summer, this mixtape is more of music for the streets. 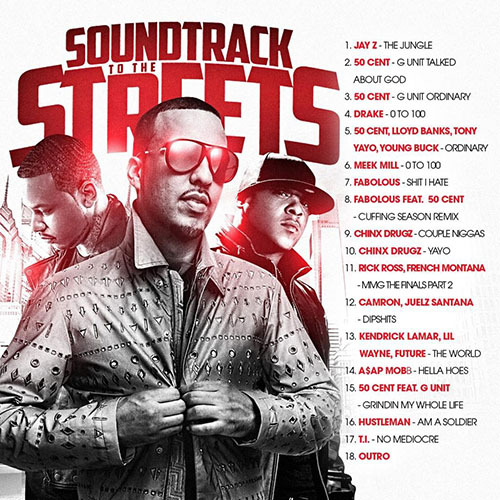 The July 2K14 Edition of the ‘Soundtrack To The Streets’ mixtape series gives you rugged hits from rappers such as 50 Cent, G-Unit, Fabolous, Meek Mill, A$AP Mob, Cam’ron, Juelz Santana, and more. If you like hard hip hop, then you will surely want to give this mixtape a listen. Check out these mixtapes and so much more on our site today. You will not be disappointed! 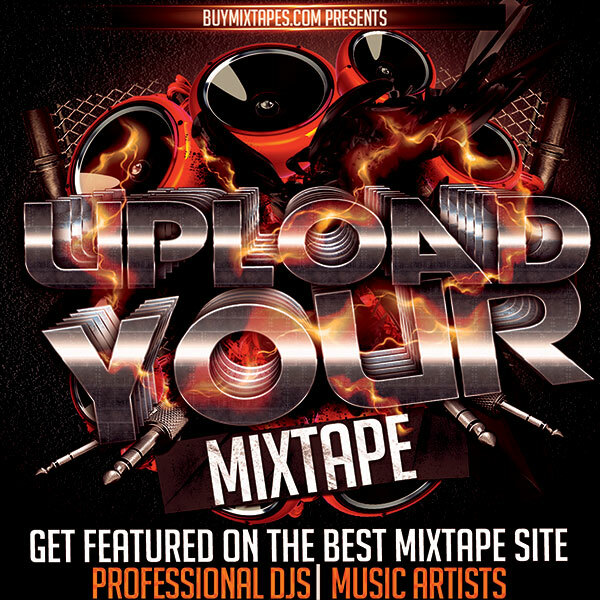 For those wondering about being able to upload your mixtape to be featured on our site, we are almost done and hope to have it ready within the next week or so. Write down your best lyrics, get a producer to make you some sick beats, hop in the sound booth, and get set to have your work available for your fans, friends, and family to obtain absolutely free. There are no fees because you bring in the visitors, so why would there be a fee? The others sites that copied us and charge to display your talent are ridiculous to even think about doing that. In the long run, it wil end up costing them. One thing that has made music very popular today is the internet. If the internet was not around, would these music compilations be as popular as they are now? Would they be as easy to find as they are on the internet? DJs first released their music compilations of unreleased music or soon to be released music from popular music industry artists on cassette tapes. Mixtapes became very popular in the 90’s. One of the best DJs of that mixtape era was DJ Clue. In the 90’s, these compilations were typically released on cassette tapes. Most, if not all originated in New York City, where hip hop was very popular. Due to the popularity of these compilations in New York City, it became known as the ‘Mecca’. In order to obtain one of these mixtape gems, one would have to travel to New York City to purchase a copy. Mass distribution came about when local mom and pop shops would buy them in bulk at wholesale prices and sell them under the table. These compilations in the 1990 were still scarce because not many businesses knew how to obtain wholesale. Because of this, bootleg copies were very common as it was the easiest method to obtain these gems. Bootleg copies are when someone has a real copy or master copy of the DJ’s mixtape compilation and then dubs their own copies to sell or give away. Many people would not to travel to New York all the time just to buy these products since they were released very frequently. This would be very time consuming for anyone that did not live close to New York. The easiest way was to know someone that could make you a copy of the one they had. Mixtapes became very popular on the internet at the beginning of the turn of the century, right around 2002. It was very easy to go on a website and place an order for these products because the turn around time was very quick. You would have them in your mailbox within the week. This method allowed for worldwide distribution. Many people liked the ease of going on an internet site to pick out which songs they wanted to purchase. This method is still used today to distribute hard copies. Eventually everyone caught on and the next step was digital downloads. 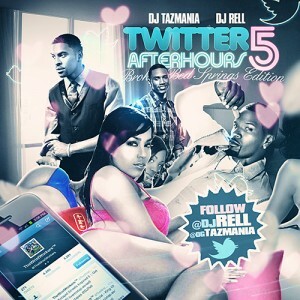 This is the quickest way as you can download the mixtape in mp3 format within minutes depending on your internet connection speed. There are many many websites that allow you to download mp3s for free in mp3 format, although many of these sites display ads that can ruin your mixtape downloading experience. Some of these ads can contain malware that will infect your computer and steal your personal information without you knowing it. There are very few sites that offer ad free downloading. The sites that offer ad free downloads are the best. What is a mixtape you might ask? In today’s music industry a mixtape has a few different meanings. It can contain one single artist’s musical works with other featured artists, many different artists on a compilation mixtape, or even just instrumental tracks from one producer or many producers. This article will discuss each of those topics. When a music artist releases a mixtape, they are either signed to a major music label and want to keep fans interested or is an unsigned artist and is looking to sign a recording contract. When an already established major recording artist releases a mixtape, they are letting fans know they still have what it takes to make hits and also hype up their next album release at the same time. 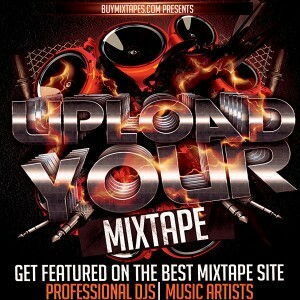 A great way for unsigned artists looking for a record deal is to release a mixtape. With the internet, mixtapes and music can be heard by anyone at little to no cost. Music artists do not have to know someone on the ‘inside’ of a recording label in order for someone to sample their music. It’s as easy as taking a few minutes to go on the internet and give a listen. Some artists that have just been signed to a major recording contract may be required to continue to release street products before they actually release their debut album. This will help the record companies get a feel for how this artist will perform for them in the long run. Some unsigned artists that have signed a deal with a record company and have released a underground product or two after that, may find that they no longer can live up to the hype they had before signing a recording deal. Sometimes these music compilations contain many different artists and their musical work. What this does is help save the record companies money by releasing a few of their artist’s tracks and seeing which gets the most positive feedback. 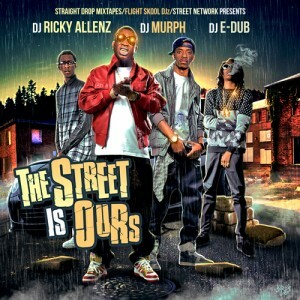 They will let the streets help them make a decision on what is the best track to release as the next single. This will make sure the record companies do not waste money on releasing a single that will just become a flop. Music producers also use mixtapes to let record companies they are serious about making beats for major recording artists. Half of a hit song is the instrumental part. Although not nearly as popular as a recording artist’s mixtape, they still aid record comapines that are seeking star talent. In today’s digital age of music, downloading music is very common. Mobile phones have evolved to allow you to browse the internet anywhere you are. You can also plug headphones into your mobile device and listen to music you have on it or on the internet. What defines a mixtape today is much different than what a mixtape was 20 years ago. 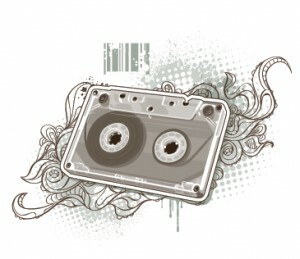 Mixtapes 20 years ago were mostly many different musical tracks recorded on a cassette tape. Today, even though cassette tapes are obsolete and the new format is CD, which is on its way of being replaced by digital music, these compilations are still called by the same name. These products in the hip hop and rap genre are used today to break new artists. Unknown or well-established artists use musical tools to hopefully land a recording contract with a major record label. 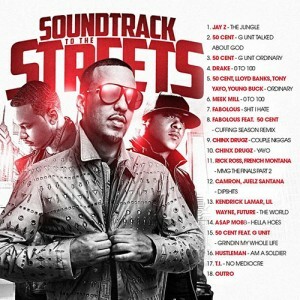 In today’s hip hop music industry, it is a must even for signed music artists to release projects to the streets. This helps to keep the artists relevant with their fans and also remind them that they still have what it takes to make hit records. Many artists will release free music downloads in between their album releases to hype up their retail efforts. Sometimes, if not most of the time, these projects are better and more in tune with the artist’s emotions then their retail album. This is because many of the record companies want their music to be album specific and liked by the general population. Mixtapes contain raw and uncut music that may not be suitable for an album, so it is released on a mixtape. These products have been around for a very long time, but one artist that made these underground music compilations very popular was 50 Cent. He claims to have to be the inventor of these projects, but that is not true. Artist were being signed from street material before him. 50 Cent may have invented releasing a whole project with just him and his G-Unit members on it, but he did not invent it. DJ Clue, Fabolous and a whole slew of other artists would say otherwise. 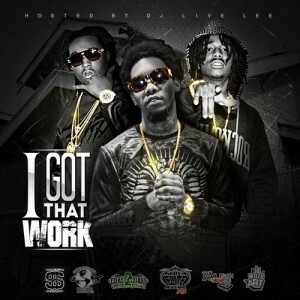 Many aspiring hip hop musicians use these music compilations to help boost their career. They use this as a way for their music to be heard. Anyone that is serious about their music career will use this product to help establish them in their local community, city, state or even worldwide by means of the internet. Although these works mostly contain hip hop and rap music, some r&b artists have also used them to help establish themselves. The best place to find mixtapes is on the internet. It used to be that these products in the 1990’s and early 2000’s could only be found at your local mom and pop’s stores or at the barber shop. These places of business would make purchases in bulk and sell them for a profit. This was done under the table since these products were never cleared of any copyright issues with the record companies. Some record store’s would also sell these under the counter or would give them away for free with the purchase of a retail album. This method would entice people to buy a retail album from the store in order to obtain a copy of a music compilation they wanted. They were originally circulated on cassette tapes, but as technology has evolved, the faster, cheaper and more efficient way to distribute these musical projects is on CD media. Just one computer tower containing 11 CD burners can produce up to 11 drops within a matter of minutes, so this method is very quick, easy, and consumes much less time than dubbing on cassettes. Eventually some of these business that were selling were raided by the RIAA and they faced hefty fines and possible jail time. The internet is what made them as popular as they are today. These products began on the internet in 2002 and were distributed the same way as they were on the streets. Although a business on the internet is a little smarter on how to distribute them without facing any legal issues. Hard copies of mixtapes are still distributed on the internet today, as well as at your local mom and pop’s stores. Another way to obtain these music compilations is through digital download. This has become the most popular method for these products to be distributed. It is easy to do, the only wait time you have is based on your internet connection speed, almost always free to download, and best of all you never have to leave your house! This method helps to get an artist’s work to a ton of their fans quickly rather than take the time to produce and distribute hard copies. It is also much cheaper and faster to do it this way. Using this method, rap artists can obtain the feedback they are looking for much quicker and at a much higher rate. The only downside of digital downloads is that fans might put the artist’s hard work at their disposal and not have much appreciation for it. Where as if they took the time to obtain a copy from one of their local mom and pop’s outlets, they might appreciate the artist’s hard work more. There is also a downside to purchasing hard copies because you run the chance of the products being a bootleg and not being a legit copy of the music artist’s work. When you download these projects, there is no worry if it is a bootleg or not. Going on the internet is also a way to obtain free mp3s. In today’s music industry many artists in the rap/hip hop genre are using mixtapes as a way of being heard by fans and record companies. These products contain a compilation of the artists work. Some producers even use this as a way for their musical production to be heard. One of the first of today’s popular artists to use this format is 50 Cent. He used them as a way for his fans to be heard and eventually signed a $1 million deal with Shady Records, which is Eminem’s label. When he released his first retail album, it sold over 8 million copies. One of the reasons it sold so many copies is because he created a buzz about his music by distributing about 5 freestyle works with his group G-Unit. His music was on many other releases put together by popular DJ’s such as DJ Whoo Kid, DJ Kayslay, DJ Clue and others. He would also guest host these projects because at the time people wanted to hear anything and everything dealing with 50 Cent. Another one of today’s popular artists that got his start from these underground releases is Machine Gun Kelly. Before signing with Bad Boy records, he also distributed these musical efforts. Some of today’s popular artist also use this outlet to keep relevant with their fans and continue the buzz. These artists include Gucci Mane, Young Jeezy, Meek Mills, Rick Ross, Lil Wayne and the list goes on. It’s almost mandatory by record labels for artists to constantly release music to keep their fans interested. Many of today’s popular artists release these projects to keep relevant with their fans. These releases help to keep their buzz going so fans don’t forget about them and also to let them know they still have what it takes to be a music artist. Some of these include Gucci Mane, Young Jeezy, Lil Wayne, Rick Ross, Lloyd Banks and many many others. Too many to list. If you have ever heard of a track from your favorite artist but are not able to find it on their retail album, you can most likely find it on one of these music compilations or one of their official project releases. Some artists also release music through these products to see what kind of buzz their music is receiving. Sometimes this will also determine their next single that will be released to retail outlets or to be played on the radio. This can help the record company save a big amount of cash determining which song is the best to be released and not release a song that will just become a flop.